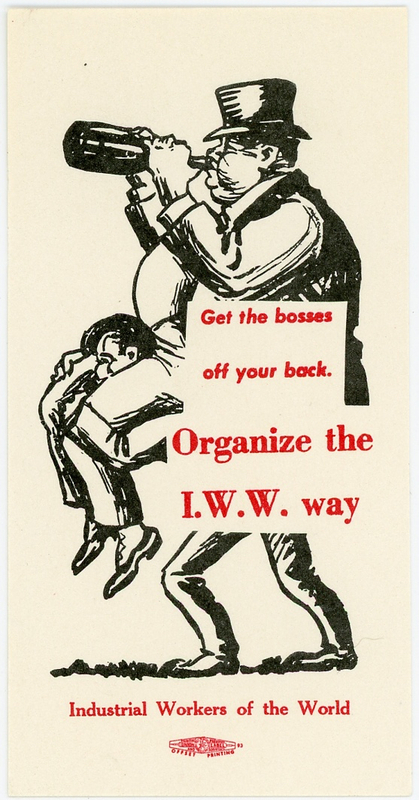 Get The Bosses Off Your Back. Gummed paper label, also known as "stickerette" or "silent agitator." Cartoon drawing of a fat cat boss being carried by a laborer.